What a fantastic kick-off to June! 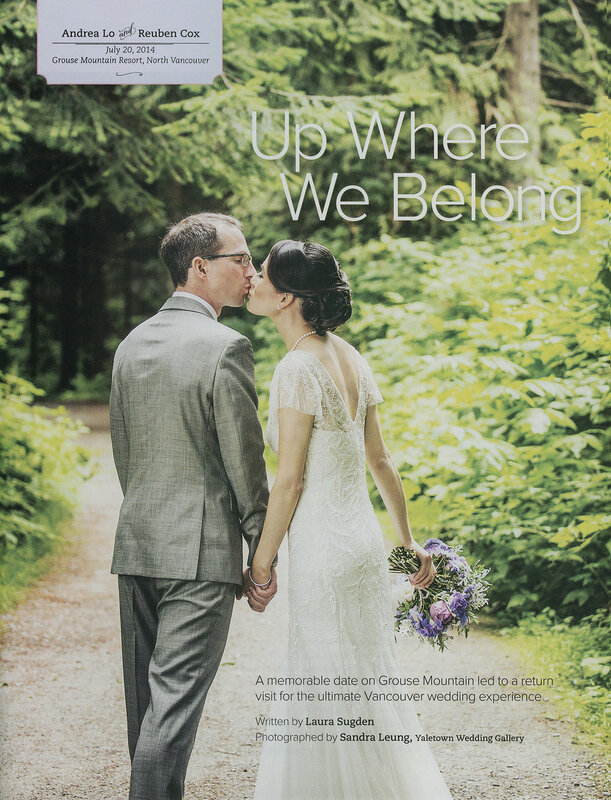 We have been waiting with baited breath to share with you Andrea & Reuben's spectacular wedding up at Grouse Mountain that has just been featured in the recent Spring/Summer issue of Real Wedding Magazine! We are thrilled & honoured to have this fun-loving group of people featured & are sharing with you some additional images from the amazing wedding day. A shout out to the amazing team: Kiri of Lovely Event Co. (wedding planner), Cailyn of Delovely Creative (Decor/Flowers), Mink Make up & Hair (stylists). Love that magazine:) We couldn't get enough of those beautiful wedding so we're posting more image here to share with you all! One of our favourite moments was the first look. We chose a private spot on the 4th floor terrace of the Four Seasons Hotel for this private meeting.